Hey guys! Just a quick post here! Credits and SLURLs at the bottom! Hey guys! Isn’t this round of The Men’s Department AMAZING? Seriously, this is one of my favorite rounds! The clothes, the skins, the hair – everything is just great. 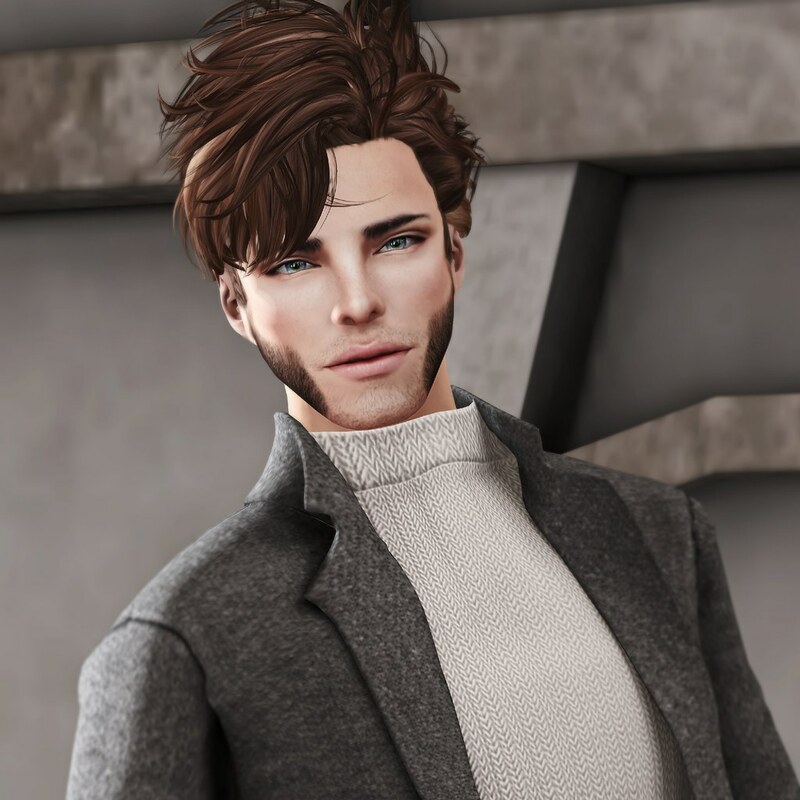 I’ve blogged the Chad skin from Clef de Peau before, though I was wearing it on the Mesh Project head and body. This time it’s on my good ‘ol fashioned “classic” avatar. 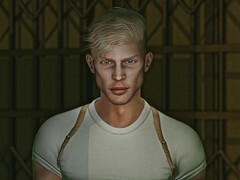 I’ve said it before, and I’ll say it again: Clef de Peau has some of the best male skins in SL. Amazing detail on the faces, and the body is fantastic. And for TMD prices? It’s a total steal. This skin should be sold for four times this much. AND it comes with Slink appliers, to boot. Win! I’ve bought several pieces from Ison before, I’ve just not blogged any. But I love this sweater/jacket combo currently available at TMD. It comes in several colors, with the option to change the sweater color via HUD. It has a certain casual elegance to it that I think works great for this look. These chinos from Villena are sleekly tailored and I love the classy plaid options that are offered. I often stick to close to solid colors, in SL and RL, so these are a nice change for me. And my much-loved, much-worn wingtip boots from Gabriel finish off this sturdy, chic ensemble. Oh, and a word about this location – The City of Harrison. This is one of the most realistic city-themes SIMs I’ve come across in SL. It feels much bigger than it is, and features loads of great little details. Definitely a fun place to explore. It is a roleplay SIM, but you can just wear a visitor tag if you want to explore. It’s also in the Destination Guide, so expect at least a few new residents. Everyone was well behaved while I was there, though I did almost get run over by a car! Well, that’s all for now folks… details at the bottom!